Co-founder and CEO, Raj Patil, and his team will now continue operating under the company name LiquidHub. DCisions will conclude independent data services on December 31, 2012, at which point the FTSE DCisions Index Series and InvestorBee service will stop. 2 Minute Finance interviews TIO Networks at FinovateSpring. 2 Minute Finance interviews Flint Mobile at FinovateSpring. Check Point provides FXCM with integrated network protection. IND Group’s technology initiates the world’s first Facebook money transfer. Kashoo named most promising startup at 2012 BCTIA Technology Impact Awards. DCisions awarded an Australian patent for business method. SmartyPig, Social Money’s goal-based savings product, increases its interest rate to 1% APY. TechCrunch reports PayPal rolls out a touch-friendly website redesign. US News lists Buxfer, YouNeedABudget, Pennyminder, Yodlee, Geezeo, Mint as personal finance tools you should use. 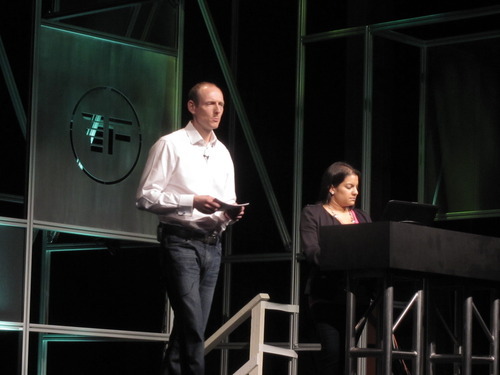 DCisions reflects on its FinovateSpring experience. American Banker looks at TIO Networks as a Silicon Valley Tech company serving the underbanked. CorFire and edo Interactive to connect purchase data and targeted offers via mobile. Silver Tail Systems positioned in the Leaders Quadrant of the Magic Quadrant for Web Fraud Detection. Bazaarvoice acquires PowerReviews for $151 million. doxo adds mobile bill Pay, launches Android app. Prosper takes on Lending Club’s PRIME service with Premier. 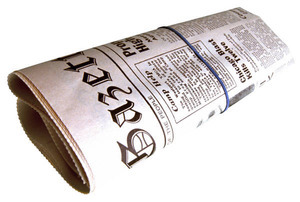 Bank Technology News reports WattzOn Helps Banks Help Customers Save on Energy Bills. Fast Company reports Personal Capital’s beautiful app convinces the wealthy to trust their money to strangers. TechCrunch reports that Mint.com updated its app to allow users to split transactions. Crain’sNewYorkBusiness.com describes how BillGuard fits into the Big Data scene. How DCisions, Personal Capital, SigFig, FutureAdvisor, and Jemstep Are Shaking Up Wealth Management. Klarna adds Nigel Morris, co-founder of Capital One, and Anton Levy, MD of General Atlantic, to its board of directors. Westmoreland Community FCU chooses Geezeo for PFM. StockTwits debuts new social signals features. Kony Solutions announces $15 million series C financing. Mitek enables $10 billion worth of mobile deposits. The wealth management industry has seen increased press coverage lately. Take, for example, The Economist’s recent piece discussing how increased competition from startups has tempted clients into moving assets to lower-cost alternatives. DIY tools such as SigFig, FutureAdvisor, or Jemstep. These tools help you see how your funds are performing and how much you’re paying in fees. To learn more about these companies, watch DCisions’ FinovateEurope 2012 demo, Personal Capital’s FinovateFall 2011 demo, SigFig’s FinovateFall 2011 demo, FutureAdvisor’s FinovateSpring 2012 demo (coming soon), or Jemstep’s FinovateSpring 2010 demo. 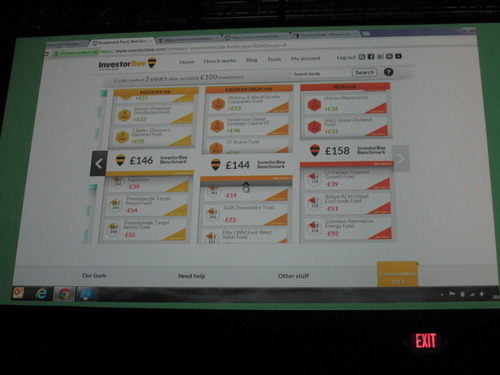 “InvestorBee puts data at consumers’ fingertips so they can make smart, confident investments. It’s fact, not opinion. Users can tap into the database to learn from the experiences of other investors. It’s simple investing without guesswork. Users can choose an objective risk-based strategy to track what’s right for them in a few easy steps. Mobile payments today reports MoneyGram and Fiserv hook up on mobile P2P payments. Kony Solutions announces support for iOS 5.1. The Republic identifies Mint and Expensify as two apps to help streamline finances. Boot Camp interviews ReadyForZero on its platform. SecondMarket launches ‘The Facebook Fund’ to buy shares before IPO. CU Times looks at Superior FCU’s success from using Mortgagebot. Forbes lists Alexa Von Tobel, CEO of LearnVest as a female founder to watch at SXSW 2012. Xero moves to new headquarters. City A.M. highlights InvestorBee by DCisions. All Things D looks at how Personal Capital fits into the trend of online wealth management. Ping Identity launches PingOne for single sign on access to cloud-based applications.